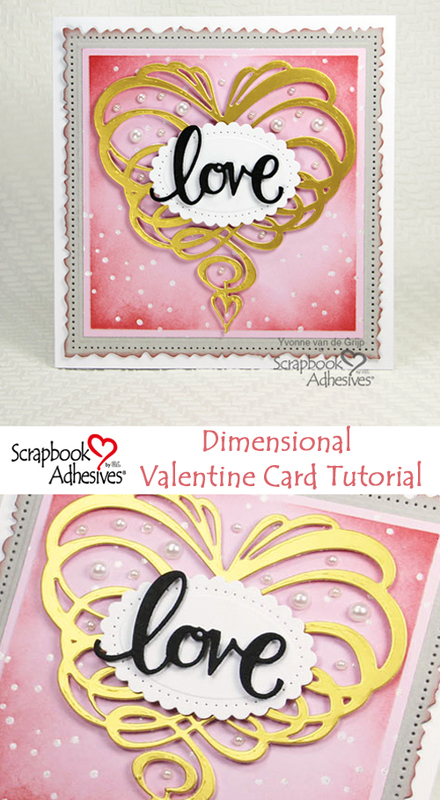 Hi everyone, Yvonne here to share an easy to make dimensional Valentine card with of course, the word “love” that is front and center! 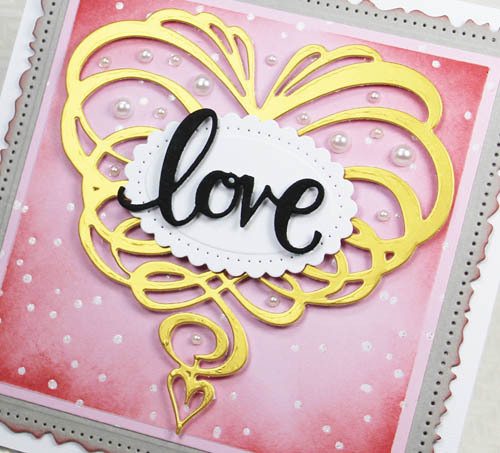 Only one week until it’s Valentine’s Day so it’s time to get crafty and make a gorgeous card for a special loved one! 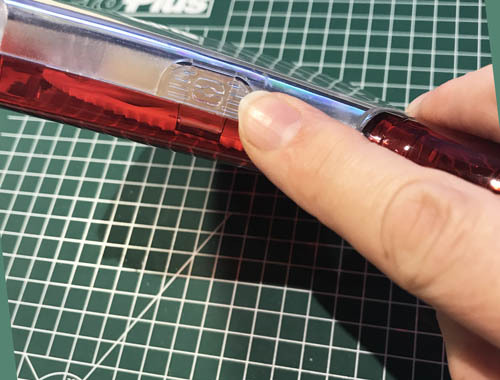 First, take off the cap of the E-Z Runner® Grand Refillable Dispenser. Using the finger grip on the side, open the hinged lid. Lift the cartridge to remove. If empty, simply drop in recycle bin. Align E-Z Runner® Grand Ultra Strong Refill and drop into place. Close the lid and you’re ready to go! Now to make the card base. Die-cut and emboss a pierced square from grey cardstock. Ink the edges with bright pink ink and an ink blending tool. 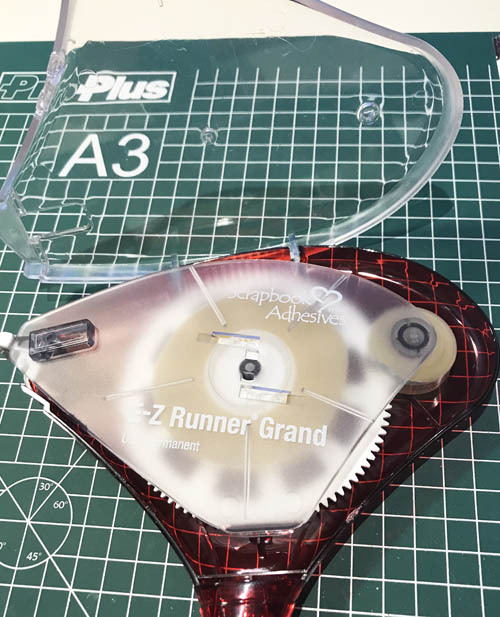 Adhere to a white square card base using the E-Z Runner® Grand Refillable Dispenser with E-Z Runner® Grand Ultra Strong Refill. For the second card panel layer, die-cut and emboss a square from pink cardstock. 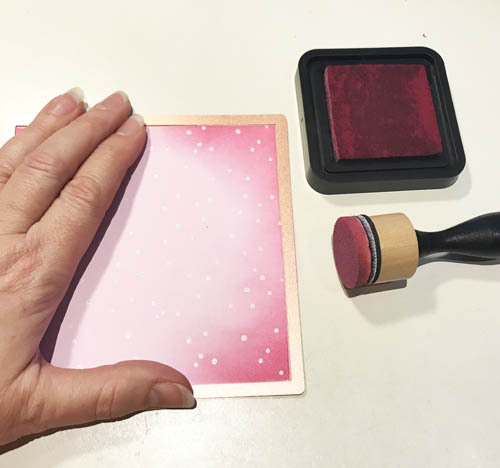 Leaving the cardstock in the die, ink the inside edges using pink in and an ink blending tool. 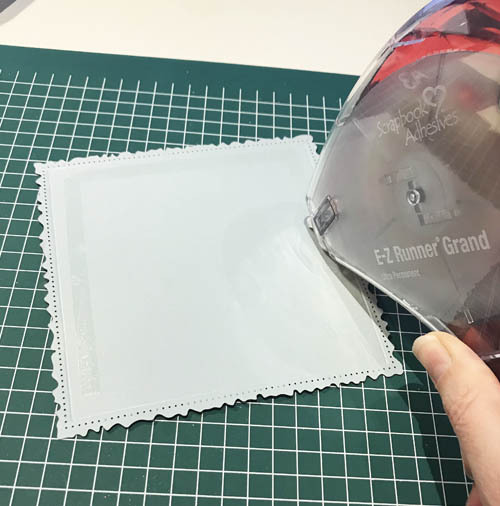 Then adhere the layer to the card base with the E-Z Runner® Grand Refillable Dispenser and E-Z Runner® Grand Ultra Strong Refill. Now the fun part – embellishing! 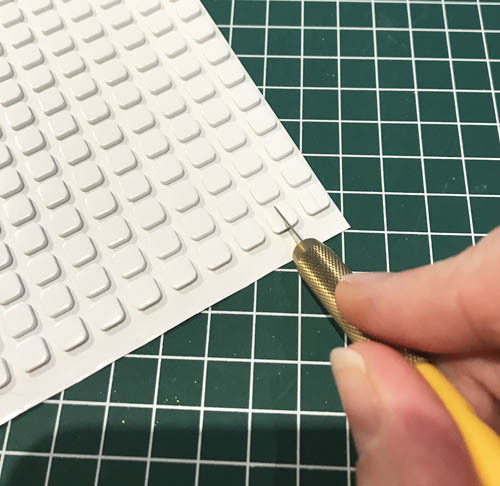 3D Foam Squares White Small Size is the perfect way to add dimension to your project. 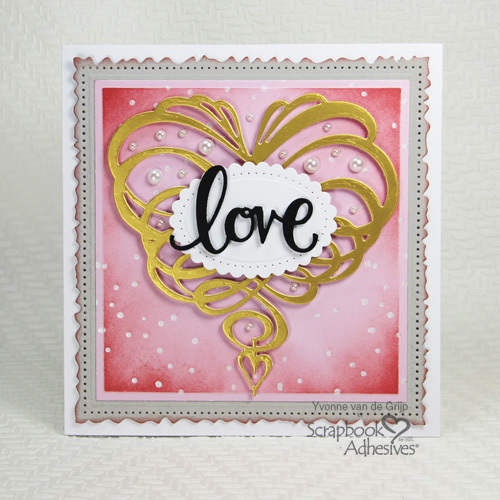 Let’s first die-cut a heart shape from gold cardstock and adhere with several 3D Foam Squares White Small Size. Since this is an intricate design, I cut some 3D Foam Squares White Small Size into smaller stripes and squares with a craft knife to tuck behind the intricate design so it doesn’t show. Remove all the liners and affix to card base. Tip: by using a very sharp craft knife, all you have to do is press the knife onto the 3D foam square and it will cut right through. Die-cut and emboss an oval shape from white cardstock. Die-cut the word “Love” sentiment from black cardstock. Adhere both to the card base using 3D Foam Squares White Small Size. To finish the card, I added lots of pearls on the card front with Adhesive Dots Micro for an extra luxurious touch! Tip: For precise placement of the pearls, I find tweezers work the best. And voila…your Valentine Day card with lots of love is ready to be sent to your loved one! This entry was posted in 3D Foam Squares, Adhesive Dots & Lines, Adhesives, Cards, Crafts & Tutorials, E-Z Runner® Dispensers, E-Z Runner® Grand, Intermediate, Permanent Adhesive, Seasonal Craft Ideas, Skill Level, Spring, Tutorial and tagged 3D Foam Squares Mix White, 3D Foam Squares Small White, Adhesive Dots Micro, Card, Cardmaking, E-Z Runner Grand Dispenser, E-Z Runner Grand Ultra Strong Refill, E-Z Runner Ultra Refill, E-Z Runner Ultra Refillable, Love, Tutorial, Valentine's Day, Yvonne van de Grijp. Bookmark the permalink.